Drawing on five decades of making the world’s best-sounding records at Mobile Fidelity Sound Lab studios, Mobile Fidelity electronics focus on improving the sonic integrity of home-audio reproduction. Each product is the result of collaboration with some of the industry’s finest engineers and stems from years of studio experience. Our turntables, cartridges, and phono preamplifiers are designed to spotlight what Mobile Fidelity Sound Lab continues to do with its famous Original Master Recordings: Getting you closer to what the original artist intended. Designed in collaboration with one of the world's foremost turntable and tonearm designers, Allen Perkins of Spiral Groove, Mobile Fidelity turntables provide uncompromising playback of your vinyl collection and maintain the high standards of Mobile Fidelity Sound Lab. 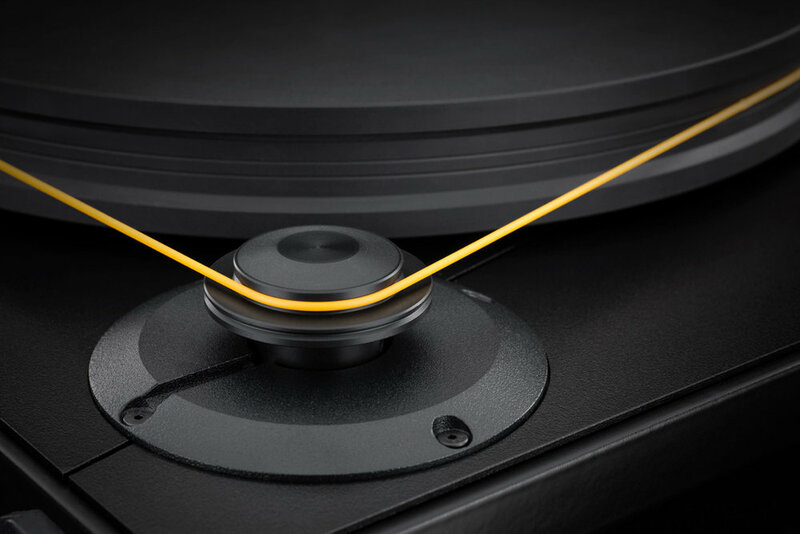 Each turntable comes with a Delrin® platter, custom-built tonearm, 300RPM isolated AC synchronous motor, gold-plated connectors, anti-vibration feet, and dust cover. Custom developed and manufactured in the USA, Mobile Fidelity’s Studio and Ultra Tonearms deliver the ideal balanced of rigidity and low tracking error so all you’ll hear is what is in the record grooves. Developed in conjunction with the engineering team at Harmonic Resolution Systems, the world leader in vibration isolation for audio equipment, the included MoFi anti-vibration feet isolate your turntable from bad vibrations. Designed in collaboration with Allen Perkins, Mobile Fidelity’s Japan-built phono cartridges follow the same layout as the cutting head responsible for making the grooves on vinyl LPs. Each boasts superb tracking sense, tremendous accuracy, and coloration-free performance. 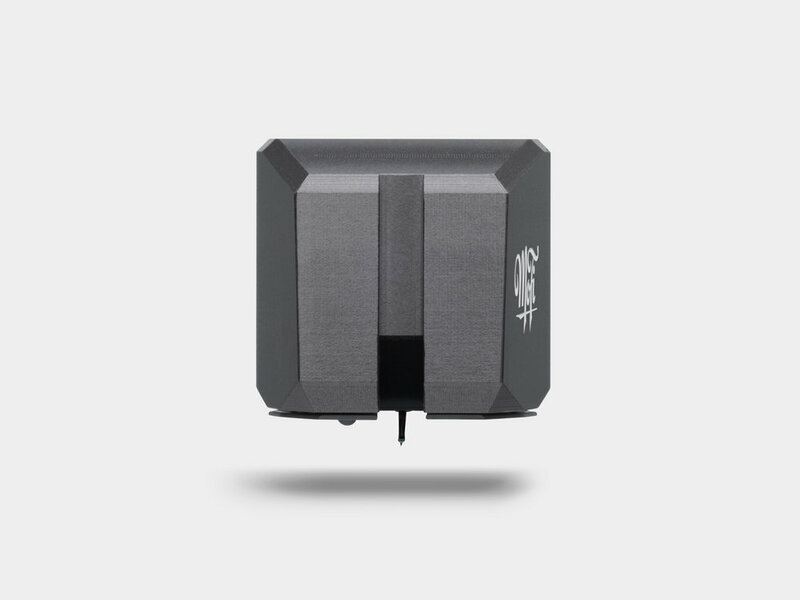 MoFi cartridges use a V-Twin dual-magnet generator that mirrors the design of a lathe’s stereo cutter head. Two powerful low-mass magnets are carefully aligned in parallel with the stereo record grooves to achieve excellent channel separation and detail retrieval true to the Original Master Recording. Developed by revered engineer Tim De Paravicini, the USA-made StudioPhono and UltraPhono prize simplicity, purity, precision, and control—the very characteristics responsible for producing audiophile clarity, unstinting accuracy, and breathtaking realism during analog playback. — Nels Ferre, Vinyl Me, Please.